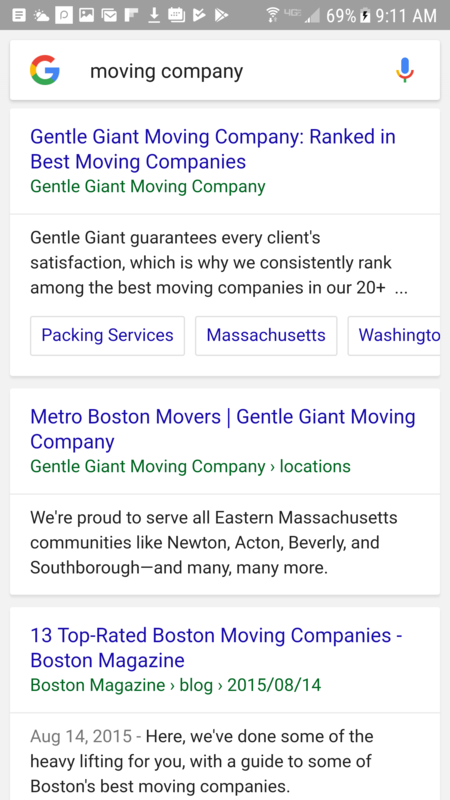 Google has finally confirmed that they will be changing the design of how Sitelinks appear on mobile search results pages. For those of you that do not know, sitelinks are additional links within a snippet of a search result where users can quickly navigate to certain pages of a website. This saves time as well as making user experience easier when looking through a search results page. If users are looking for a specific service or area of a website, they can easily get to that page by clicking on that page’s sitelink in search results. Google has been testing this new format for over a year and have finally given the new format a green light. This new format for sitelinks is that of a carousel format. With this carousel format you can easily swipe left or right across the sitelinks. This new format allows web designers to show more important and relevant links from the website on the topic that is being searched. Before, sitelinks were just plain text appearing under a listing limiting the amount of links being shown. 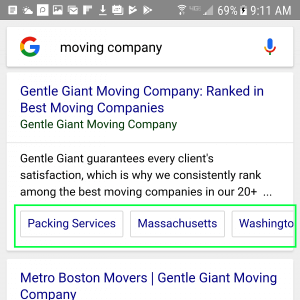 With this new carousel format, more links can be shown within a listing which give searchers more options to choose to click to get to information they are looking for.